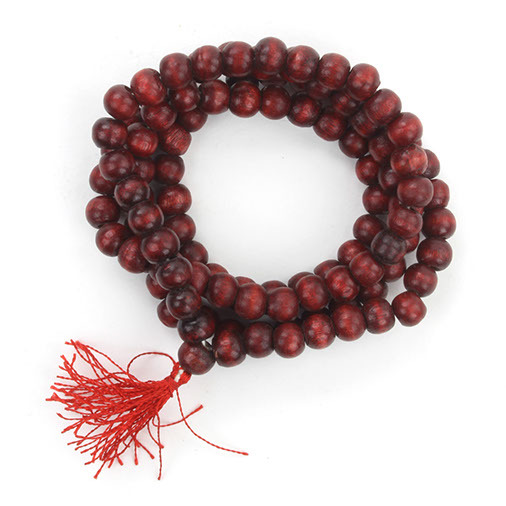 Our wooden mallah beads are made using 108 individual beads, which is a particularly auspicious number in Buddhism, and finished with a coloured tassel to represent the end of the chant. The first 100 beads are counted as mantras whilst the reamaining eight are dedicated to the sentient beings. Malla beads are similar to a Catholic rosary and are used to aid meditation and prayer. The beads are a little more varnished than I expected. But I am sure this will rub off with handling. Very pleased otherwise. Great quality product! Fast delivery! Highly recommend.